Who is the True Church? Who is the true Church? There is a sense in which the Roman Catholic Church is the descendant of the one true Church, but there are important ways in which it is not. The early churches had no overarching hierarchy, and thus no hierarchy can be the descendant of the apostolic churches. Spiritual descent is spiritual, not physical. The words of the apostle Paul concerning Israel according to the flesh prove this. 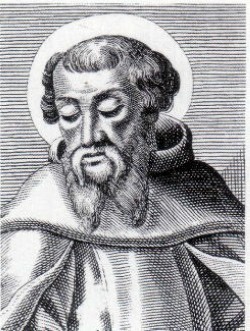 Both Irenaeus in A.D. 185 and Tertullian, about twenty years later, appeal to "apostolic succession"—the succession of bishops and elders from the apostles until their day—as proof that the early churches held to the original Gospel (and thus were true churches). Both appeal to varying churches as testimonies of apostolic truth, not to one collective administration. Tertullian's quote assumes that the true churches were not subject to one governing authority. Had they been, his argument would lose all its weight. Error could have become one and the same by the decree of Rome or by the decree of some other hierarchy, if one hierarchy ruled all the churches. The assumption, then, in Tertullian's argument is that each true church freely preserved truth as it was given to them by the apostles over a century earlier. Again, it is clear that he is saying that each individual church is preserving truth, while resorting to one another to solve disputes. He does not send them to a hierarchy, a pope, or to any other central authorities, but to multiple authorities united by their common fellowship and common descent from the apostles. Again, the emphasis is on a "they" that received the Gospel from the apostles and transmitted it faithfully to the true churches that they raised up. This explains why Jude tells us to "contend earnestly for the faith once for all delivered to the saints" (v. 3). It is up to us to preserve it. There is no hierarchy, magisterium, or pope to do it for us. Thus, while the Roman Catholic Church is in a sense the organizational descendant of the true apostolic churches, its hierarchy cannot be the true church because there was no early Church hierarchy to descend from. Paul has a lot to add to this. "He is not a Jew who is one outwardly … but he is a Jew who is one inwardly, whose circumcision is of the heart, of the spirit, and not in the letter" (Rom. 2:28-29). He adds in Galatians, "Know therefore that those who are of faith, these are the children of Abraham" (Gal. 3:7). I said that the Roman Catholic Church is happy to admit that many popes were political appointees. They go further and have a whole list of wicked popes. "Even modern Catholic writers, wrote Cardinal Wiseman in 1844, class him among the wicked popes, as an ambitious, haughty, and unrelenting man, deceitful also and treacherous, his whole pontificate one record of evil." This is no less true of Roman Catholics. Just because Peter appointed Linus in Rome, and Linus Anacletus, and Anacletus Clement, etc. ; it does not follow that these are the true descendants of the apostles. We have seen (e.g., in the Western Great Schism) that many popes were political appointees, as the Roman Catholic Church is happy to admit (see sidebar). There is no way that the apostles would have seen these political appointees as true shepherds or representatives of who is the Church. These men did not even attempt to shepherd, protect, nor even find the flock of God. 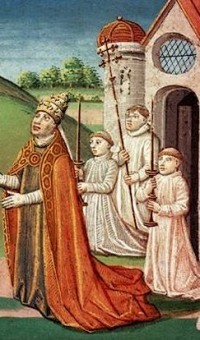 And what of churches that do have apostolic doctrine, but who do not have a list of bishops going back to the apostles? Finally, what should we do with church leaders, like the wicked popes, who have been properly appointed in a succession of bishops, but whose lives are contrary to the Gospel? One of the most honored early Christian leaders, by Roman Catholics and Protestants alike, is Cyprian of Carthage, bishop there from A.D. 249 - 258. Roman Catholics regularly quote him—out of context—to support the existence of a pope prior to Nicea. What does he mean by the "unjust and unlawful" office of their overseer? Note that Cyprian says that it is "divine authority," "divine tradition" and "apostolic observance" that prompts him to say these things. In other parts of his letter he says that this practice of ordaining bishops with people present who can testify of their life is "maintained among us and observed throughout almost all provinces." I make some very blunt and bold statements at the end of my conclusion on this page. This is supposed to be an unbiased, honest Christian history site. How can I make such statements? The authority behind my statements is Christian history, both ancient and modern. This Christian history site is designed to let you learn from Christian history and thus prosper as a Christian. There are very strong promises made to the Church. God promises through his apostles that the Church will be led into truth and that everyone who joins the Church will find the grace of God working on them (1 Tim. 3:15; 1 Jn. 2:27; Eph. 4:11-16; Php. 1:6). History testifies that this is true, but it is true for those that join themselves to God on his terms; not our own. I'm just telling you what the early church said, what worked in the past, and what is still working today. Even more pertinently, he refers to the deposition of an unrighteous bishop named Basilides as "an ordination rightly perfected." In fact, he adds that even though Basilides went to Rome, deceived Stephen—the bishop there and thus the supposed pope—and was reappointed by him, this did not rescind his removal from office. Hosea 8:4: "They have set up a king, but not by [God]." Hosea 9:4: "Their sacrifices shall be like the bread of mourning, and all who eat of them shall be polluted." According to those in the apostles' churches during the early days when the true churches were still united without an overarching hierarchy, a true church is known first and foremost by its apostolic doctrine and the holy life of its leaders. Unholy leaders pollute both the spiritual sacrifices offered by God's people and the people themselves. If any local Roman Catholic Church wishes to be considered a descendant of the apostles' churches, it will need to hold apostolic doctrine and appoint leaders who are qualified by their holy lives. This is the same thing that holds true for any church—Roman Catholic, Protestant, or otherwise—that wants to be recognized by God as who is the true church and thus inherit the promises God has given to the Church.